Cerkl employee engagement client Cincinnati Children’s Hospital is named one of the best workplaces for women in an inaugural Forbes list. Forbes partnered with Statista to survey 40,000 Americans, including 25,000 women, working for businesses with at least 1,000 employees about the female-friendliness of their workplace. Respondents were asked to rate their organization on criteria such as working conditions, diversity, and how likely they’d be to recommend their employer to others. Female respondents were also asked to rate their employers on factors such as parental leave, discrimination, and pay equity. “Forbes” reports that the surveys were anonymous so the participants could share their true feelings. The final list also takes into consideration the gender diversity of the company’s boards and executive ranks. 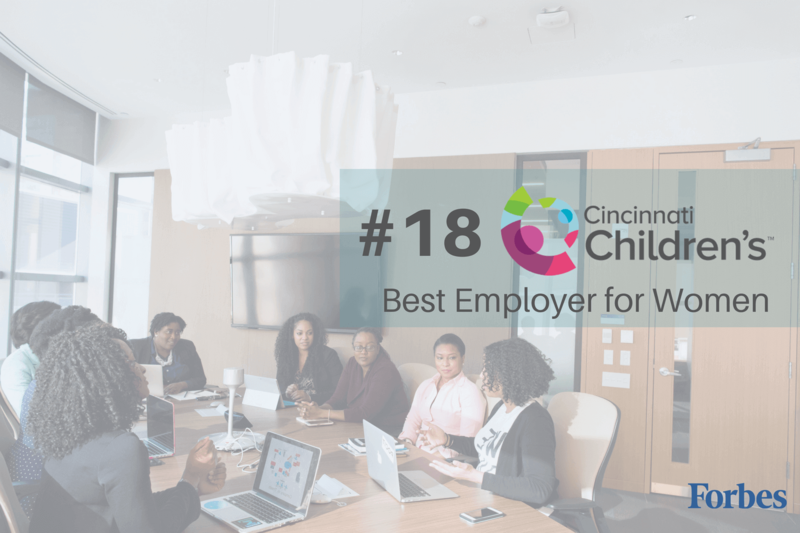 Cincinnati Children’s Hospital was ranked the 18th best workplace for women in the United States, coming in just below Google’s #17 ranking. Congratulations to Cincinnati Children’s on this employee engagement and satisfaction accolade. We are proud to have you as a client.